Inside Mrs Joe Bradshaw - 42 year-old mother of two grown up children - is the former Shirley Valentine longing to get out. Her hope and self-confidence badly shattered by school, marriage and life, she is reduced to talking to the kitchen wall whilst preparing her husbands evening meal - to be on the table as he opens the door every night. As she sips a glass of wine she dreams of drinking wine in a country where the grape is grown. Her feminist friend offers her a holiday in Greece and, with great trepidation and a lot of forward planning, Shirley seizes the opportunity and goes, to encounter a totally different lifestyle. Shirley, breaking out of the mould cast for her by society, is brilliantly shown with humour, warm sympathy and human insight by the author of Educating Rita and Blood Brothers. 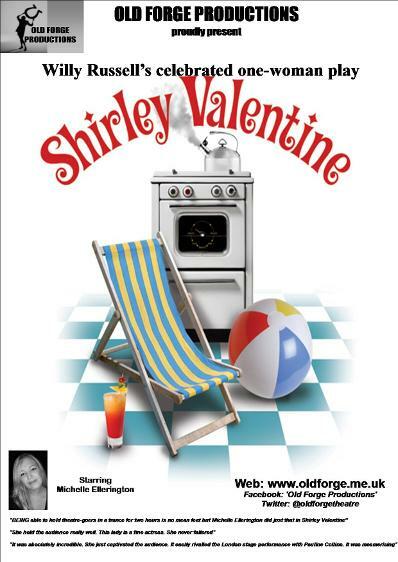 Old Forge Productions are delighted to present 'Shirley Valentine' to The Old Nick Theatre with Michelle Ellerington taking the lead and only role. Julia Smythe is a psychiatrist who specializes in treating walk-ins rather than referrals. 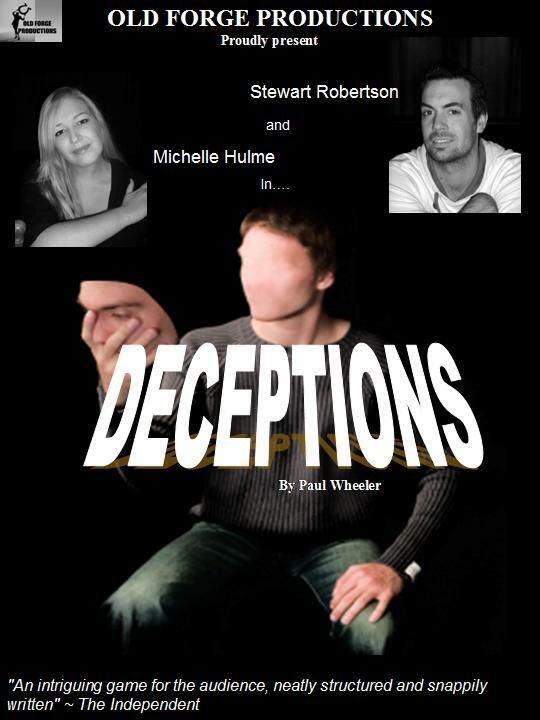 One day a mysterious young man comes into her office to be treated for impotence and a tendency toward compulsive lying. The analyst becomes hooked on the case and she cures him to the point where he actually stops lying and falls in love with her. Or does he? Patient and analyst marry before the doctor learns to her horror the lurid truth about this strange man and his efforts to control her. The audience is plunged into a complex, perverse situation right, it almost seems, out of Jacobean drama. A selection of the following magnificent solo stage pieces:- 'Lady of Letters', 'A Chip in the Sugar' and 'Bed Among the Lentils'. These poignant, perceptive and comic stories venture beyond their characters' suburban normality into lives of secrets, revelations, fears, crimes and passions. "Alan Bennett has an eye for what the rest of us fail to see, a nose for the absurd, and perfect pitch"
Willy Russell does it again with 'Educating Rita'. This intuitive, hilariously funny, and at the same time, very moving play, explores yet again how society pigeon holes the classes but reveals us all to be not so different after all. 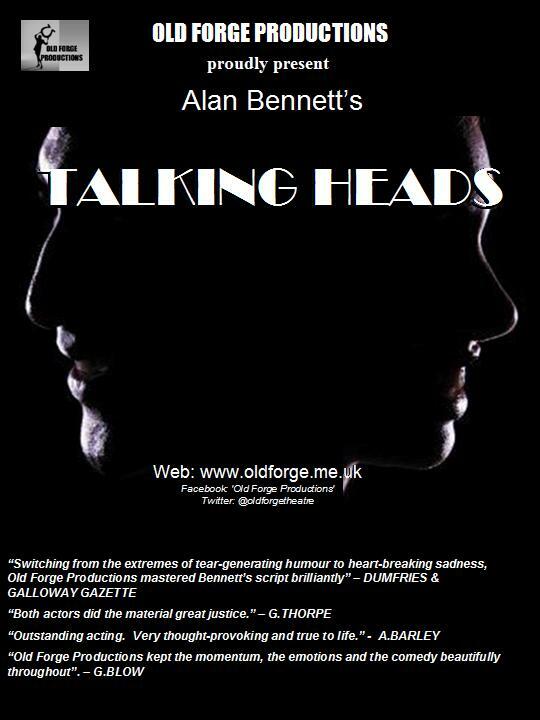 This two-hander follows Frank, a middle class university tutor whose disillusioned outlook on life drives him to seek refuge in bottles of whisky he hides on his bookshelves and Rita, a forthright working class hairdresser who is hungry to 'know everything'. Together they begin a journey of discovery....... a discovery of life, literature and eachother. - not to be missed.